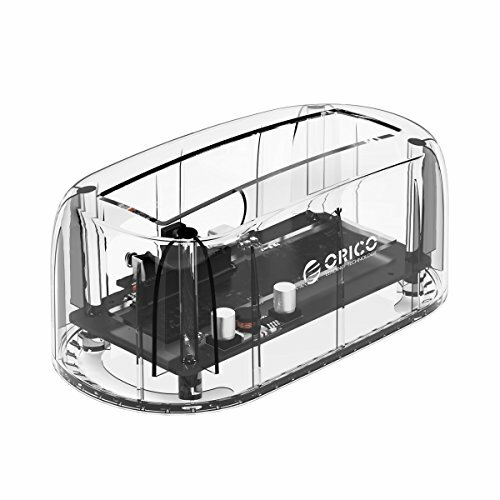 ORICO transparent docking station support all 2.5 and 3.5 inch SATA drives up to 8TB. High Speed Transfer Rate: Ultra-Fast USB 3.1 GEN 1 with maximum data transfer rate of 5Gbps. Aesthetic design: Transparent high quality material with ease of hard disk installation. No tools needed. Power Adapter: Extra power adapter for connection stability of larger capacity hard drive. Multi OS Platform: 100% Compatible with Windows, Mac, or Linux operating system.